The X-Static crew sock from Fox River is designed solely with your comfort in mind. 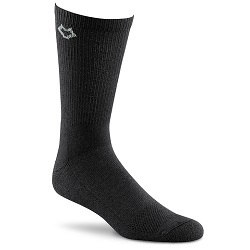 This sock controls odor, keeping your feet fresh even after a long day's work, as well as maintains a temperate zone around your foot, ensuring your feet never become too hot or cold! Try the X-Static crew sock and see what true comfort feels like!